Welcome to Sons of Arley! 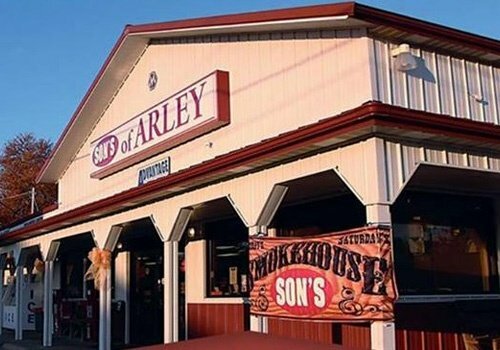 If you are looking for a local grocery store, gas station, and deli rolled into one, come to Sons of Arley in Arley, AL. We offer a large inventory of grocery items to complete your shopping list. From tender meat products to healthy produce, we have everything for your daily needs. On Fridays and weekends, you can satisfy your appetite for your favorite smoked dishes at Smokehouse. Grab the finest meats and other food items at our full-line deli. We also have a butcher on site to ensure you get quality products and your choice cut of meat. Aside from basic groceries, our store also carries fresh local honey. Drop by our grocery store and buy your everyday essentials. From grocery to specialty items, we have you covered. Visit our location or call us today to learn more about our products.